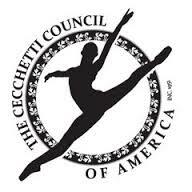 ​​The Cecchetti Council of America is an organization dedicated to maintaining the standards and method of ballet training established by Cav. Enrico Cecchetti. The organization uses his teaching and writings in a sequence of grades, carefully measured as to degree of difficulty and physical development, and provides a system of accredited examinations to test the student’s proficiency within those grades. The CCA incorporated as a nonprofit educational association in 1951 and was the first organization in the United States to adapt a uniform system of teaching and examinations. Since that time, it has developed outstanding teachers as well as students who have danced professionally in ballet companies across the world. Each class is taught using the Cecchetti Council of America's standard syllabus. For more information regarding the program, please feel free to email us at info@philadelphiastudioballet.com. Attend the Annual East Coast Cecchetti Conference! ​Each spring, we attend the East Coast Cecchetti Conference at the University of Maryland, MD. This is strictly optional, but is open to all students taking Cecchetti technique and is a great experience to grow and learn from professionals in the industry. The Students' Workshop is presented in order to increase students' exposure to various teaching styles, professional ballet faculty, and other dance forms or fields of study in dance. Non-syllabus classes in ballet technique form the core of the Workshop, in addition to a selection from the following: pointe work and classical variations, modern dance, character dance (theatricalized folk dance as used ​in Classical ballets), ethnic dance forms, dance history, dance notation, dance ​therapy, or other related forms/fields/topics.